At Myles Law Firm, we help people make sound decisions about estate and elder law matters. Our lawyers take the time to educate our clients about the issues they may face. 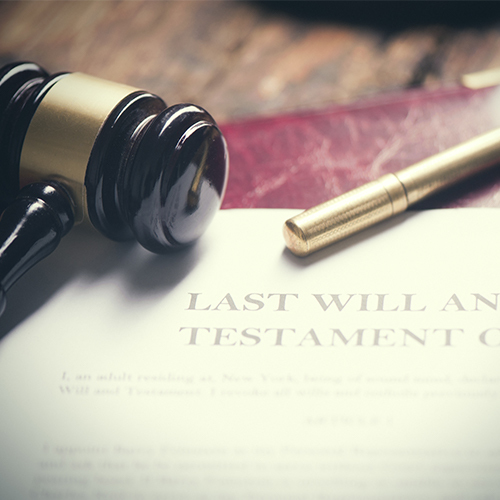 We examine their values and goals and then we develop the estate planning tools that can achieve those goals and preserve their assets. Call us at 225.654.6006 to discuss your needs with us. Your family is depending on you, and we can help you make the right decisions. Many people do not like to think about old age and the possibility of incapacity. But time never stops and some day the reality of old age will be upon you. The sooner you start to plan for retirement and your later years, the better off you and your family will be. Myles Law Firm can help you make the decisions needed to provide for nursing home care and the eventual transfer of your assets to your loved ones. We can draft a will, create trusts, and help you protect your assets. As your family and financial situations change, we can amend and adjust your estate planning documents — so that they continue to provide you with protection and peace of mind. It’s never too late — or too early — to plan. A formal guardianship may be needed when a person is no longer able to make decisions for himself or herself. But a court’s involvement in establishing a guardianship can often be costly and complicated. There is an alternative to guardianship — the durable power of attorney. This can enable you to manage the affairs of the incapacitated person in a more efficient and cost-effective manner. An attorney at Myles Law Firm can discuss your situation and the pros and cons of each approach. We can then take the actions necessary to create the legal vehicles needed to administer the incapacitated person’s affairs.